Art Masking Fluid W/N Colourless - 75ml Mask against watercolour, airbrush etc. Once dried must be removed within 6 hours. Use water to dilute - never over 10% . A colourless, non-staining liquid composed of rubber latex for masking areas of work needing protection when colour is applied in ..
Fast Drying Med - 75ml . 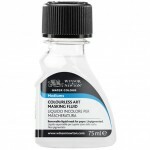 This fast drying medium smoothes brushwork & increases the transparency of Artisan Colour. 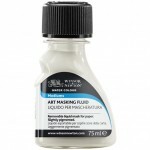 It is excellent for glazing and producing fine detail.Use with Artisan Thinner when painting in layers to maintain the ‘fat over lean’ rule. 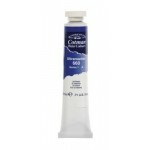 ..
Impasto Gel - 60ml . This stiff, quick-drying medium retains brush marks when mixed with Artisan Colour.Resists yellowing.Can be cleaned up with water.For thick impasto, build the texture in several layers allowing each layer to dry first. ..
Linseed - 75ml . 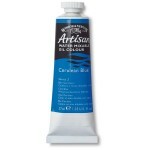 This oil reduces the consistency and improves flow of Artisan oil colours. It also increases gloss and transparency.Slows drying.Can be cleaned up with water.Use when painting in layers to maintain the 'fat over lean' rule. 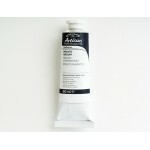 ..
Oil Painting Med - 75ml .. 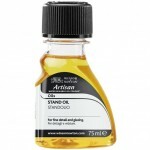 Stand Oil - 75ml . 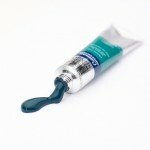 This oil is ideal for glazing & fine details as it gives a smooth enamel effect finish with no brush marks. It also increases film durability.Slows dryingCan be cleaned up with water. 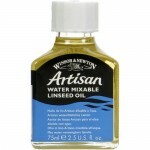 ..
Winsor&Newton Artisan 37ml. Series 1. 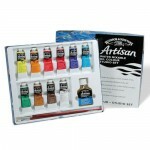 See the Colour Chart here Artisan Water Mixable Oil Colour. A genuine oil colour which avoids conventional solvents and cleans up with water. Artisan Water Mixable Oil Colour has been specifically developed to appear and work just like convent..
Winsor&Newton Artisan 37ml. Series 2. 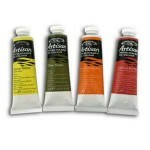 See the Colour Chart here Artisan Water Mixable Oil Colour. A genuine oil colour which avoids conventional solvents and cleans up with water. Artisan Water Mixable Oil Colour has been specifically developed to appear and work just like convent..
Winsor&Newton Artisan 200ml. Series 1. 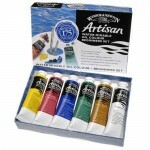 See the Colour Chart here Artisan Water Mixable Oil Colour. A genuine oil colour which avoids conventional solvents and cleans up with water. Artisan Water Mixable Oil Colour has been specifically developed to appear and work just like conven..
Beginners Set - 6 x Artisan 37ml tubes . These magnificent paints are designed to look and work just like traditional oil paint, but they're a bit special. You can use them without hazardous solvents - they're happy being thinned down and cleaned up with water. They're especially good for arti.. 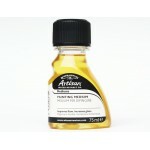 Studio Set - 10 x Artisan 37ml tubes - 1 x Artisan 75ml Linseed Oil - Artisan Long Handle Flat No. 2 & No. 4 . These magnificent paints are designed to look and work just like traditional oil paint, but they're a bit special. 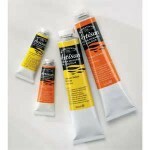 You can use them without hazardous solvents - they're happy bein..
Winsor&Newton Artist Water 5ml. Series 1. See the Colour Chart here With 96 colours, our Professional watercolour range offers bright, vibrant colours and unrivalled performance.Water colour more than any other medium relies upon the variable characteristics of the pigments used. 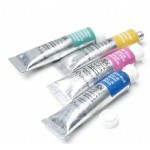 Our Pro..
Winsor & Newton Artist Water 5ml. Series 2. See the Colour Chart hereWith 96 colours, our Professional watercolour range offers bright, vibrant colours and unrivalled performance.Water colour more than any other medium relies upon the variable characteristics of the pigments used. Our Profes..
Winsor&Newton ARTIST Water 5ml. Series 3. See the Colour Chart hereWith 96 colours, our Professional watercolour range offers bright, vibrant colours and unrivalled performance.Water colour more than any other medium relies upon the variable characteristics of the pigments used. Our Professi..
Winsor&Newton Artist Water 5ml. Series 4. See the Colour Chart hereWith 96 colours, our Professional watercolour range offers bright, vibrant colours and unrivalled performance.Water colour more than any other medium relies upon the variable characteristics of the pigments used. Our Professi..
Cotmans Student Water Colour 8ml tube. See the Colour Chart here Please select the colours you require from the Available Options. . Cotman Water Colours are a range of water colours that are made to our normal high quality standards but costs are kept to an economical le..
Chinese White - 21ml ..
Winsor&Newton Designers Gouache 14ml. Series 1. See the Colour Chart here Designers' Gouache. Opaque Water Colours renowned for their colour brilliance & matt finish. 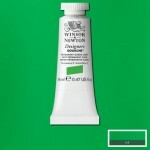 Winsor & Newton have been producing Designers Gouache since 1935 and to this day we continue to offer the ..
Winsor&Newton Designers Gouache 14ml. Series 2. See the Colour Chart here Designers' Gouache. Opaque Water Colours renowned for their colour brilliance & matt finish. 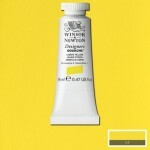 Winsor & Newton have been producing Designers Gouache since 1935 and to this day we continue to offer the ..